You sure you don't mean he had a flail not a shield blue? all the pictures of his model i've found he's holding a sword in his right hand and a flail in his left. So are many of these heroes new? 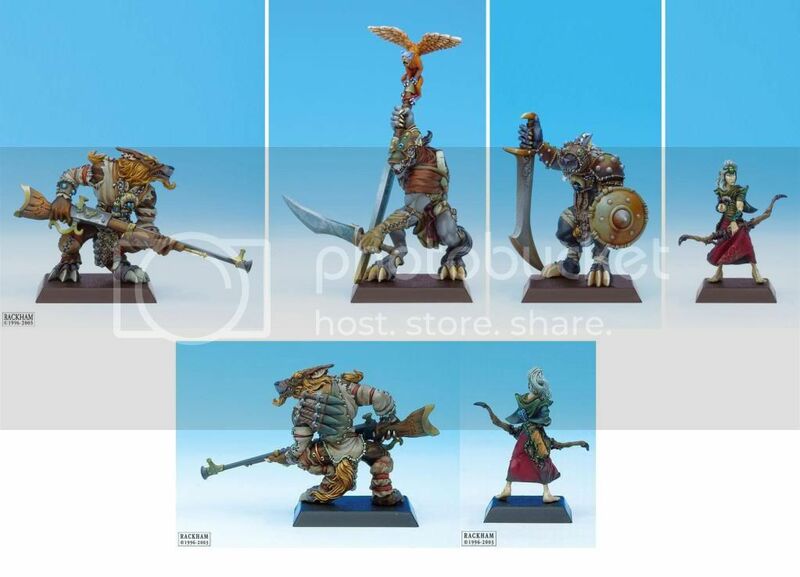 i can't find a miniature example of alot of these. Like the whole cast of wolfen heroes and arinius. So are many of these heroes new? i can't find a miniature example of alot of these. Like the whole cast of wolfen heroes and arinius. only Chimera, Kaïn, Melmoth ... and propably Kelrys f its about daikeene elf with bow. About Silienne - there were female archer hero Caelia but she was wife of Icquir Baron and the mercenary - Yshaelle that propably was a Lion and was also an archer. I coudn't find any miniatures of Kelrys, however i found him mentioned in the wolfen lore on the confrontation wiki. He's the keeper of the Beast of Dracynran, a stone monument steeped in terrible power. I couldn't find any other mention of him but i was just skimming the lines since i've read it before. 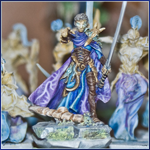 Astralwyrm wrote: I coudn't find any miniatures of Kelrys, however i found him mentioned in the wolfen lore on the confrontation wiki. He's the keeper of the Beast of Dracynran, a stone monument steeped in terrible power. I couldn't find any other mention of him but i was just skimming the lines since i've read it before. roder wrote: can we get an estimate on when this patch is coming ? June 20th? Hopefully before june 20th, more like 17th or 18th. As soon as I know for sure, I'll let you know.